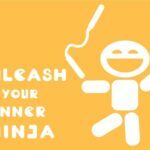 Groups, Workshops, Seminars or Online Coaching – what will you choose? Mindworx Psychology offers a range of evidence based programs for individuals and organisations. Join us here in the Sydney Hills District – choose your own location where we can come to you – or choose to be inspired from the comfort of your own home. We recognise that many of our clients do not necessarily have a mental health disorder – but may still benefit from the skills we teach. The change your life workshops are a series of workshops developed by the Mindworx Psychology Performance Coaching team. Designed to change lives, our workshops tap into the issues most commonly faced by our clients. Drawn from a wide range of research across clinical, coaching, organisational and positive psychology, encompassing an eclectic and wide range of therapies and tied together by our experiences in knowing what works, these workshops are designed to empower. Ready to change your life? Tired of being stuck in the same patterns? Looking for some practical skills to help with emotional regulation, reducing anxiety, managing eating habits, improving relationships, sleeping better or managing stress? 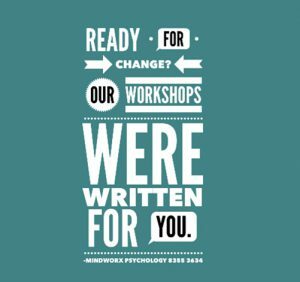 Our workshops were written for you. Join our parenting workshops – our interactive sessions are fun and powerful – designed to answer your hard questions. Meet like minded parents, and let us inspire, challenge and motivate you to create the family systems and relationships you desire. Book a workshop for your team. Our popular, practical and engaging staff development workshops target the prevention of burnout, build effective leadership, encourage effective stress management and healthy thinking across the workplace. Written and designed by our organisational/coaching psychology team to build awareness and reduce the incidence of mental health issues in the workplace, allowing your staff to focus on what matters during the workday, and switch off after hours. Teen and tween workshops. Our preventative mental health workshop, written and designed by our team of child psychologists, to help navigate issues such as peer pressure, bullying, academic expectations and changing bodies, in a fun, friendly and non-threatening environment. Bringing our unique and eclectic mix of Organisational, Coaching and Clinical Psychology together, our team regularly present expert information on a range of topics for schools, preschools and organisations. Professional, confident, engaging and knowledgeable – we are able to tailor our seminars to your audience to inform, educate and inspire. NEW! Mindfulness for Health. Due to demand, our online group launches soon – contact us for more information. We offer the leading parenting skills programs to manage tantrums and problem behaviours in pre-schoolers, school aged children and adolescents, including the well-known 1-2-3 Magic and Emotion Coaching, Engaging Adolescents and the Cool Kids, Cool Little Kids and Chilled programs for childhood anxiety. Join one of our ONLINE COACHING programs. We know just how time-poor our clients can be juggling work and family commitments. Our online programs offer live, scheduled online group time with Dr Amanda Mullin, in addition to a range or resources and support to help you reach your goals. Online coaching is not suitable for anyone with complex mental health problems. HELPING YOUR ANXIOUS CHILD online program? Being the parent of an anxious child can be incredibly challenging, and parents tell us there are often times when nothing they do or say seems to work. We know that learning about anxiety, how anxiety is treated, and how to break patterns of anxiety is an important part of our group programs. And we know just how glad parents are to be able to make informed decisions and choices. With this in mind, we are delighted to launch our online program for parents, filled with resources, tips, skills, education and suggestions on how to make your parenting more effective. As a new program, our group is open at a discounted rate as we trial and test the resources. COST. $49 per week – 10 week subscription. The surprising power of the group effect in reaching your goals. Join our next group – commences 30th April 2018. 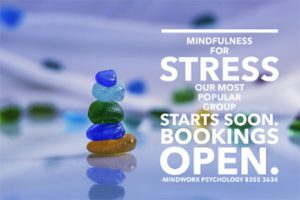 An inspiring online group program to banish burnout, improve mood, improve relationships and reduce stress – join a weekly live group session with Dr Amanda Mullin, and enjoy the daily support of like-minded others. Ready to join us? Our next group begins on May 1st 2018. Places are limited to ensure the group is a suitable size for maximising outcomes. COST – $179 per month, 3-month commitment period. This is a 10 week, structured, skills-based program that teaches adults how to identify, and overcome anxiety. Using skills from the therapy rooms, taught directly by Dr Amanda Mullin and our team of Psychologists in live weekly sessions. You are seeking help with anxiety. Ready to join us? Our next group starts on 23rd April 2018. Places are strictly limited to ensure the group is a suitable size for maximising outcomes. COST: $49 per week – 10 week subscription.